Question : How to Configure your DMARC with Mailpro? Also in our FAQ section: What is DMARC? 3. 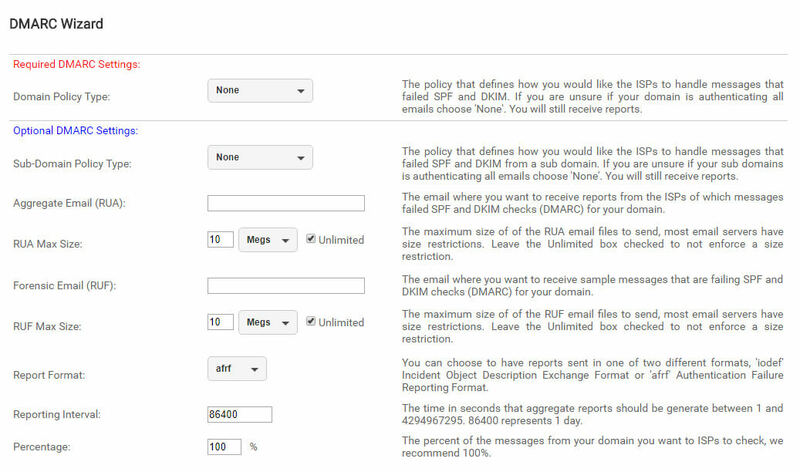 Fill in the required DMARC Settings such as Domain Policy Type: This is the policy that defines how you would like the ISPs to handle messages that failed SPF and DKIM. If you are unsure if your domain is authenticating all emails choose 'None'. You will still receive reports.